Ho Chi Minh City is a unique city in that it is rapidly growing but has yet to develop into a massive skyscraper filled concrete jungle. While it is transforming into a cosmopolitan world city, it still retains some of its old world charm. The city is rich with nooks and crannies, alleyways and narrow motorbike-filled roads, and areas unexplored by the majority of tourists, making it a very different type of place to explore. 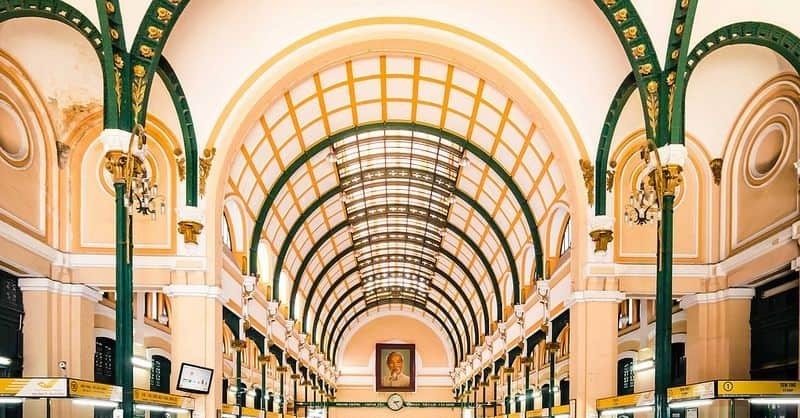 These features of Ho Chi Minh City make it a veritable playground for photography enthusiasts because you can take pictures here that will be distinctly unique. The irony is that this also makes it difficult to find the perfect spots to capture those exotic moments. 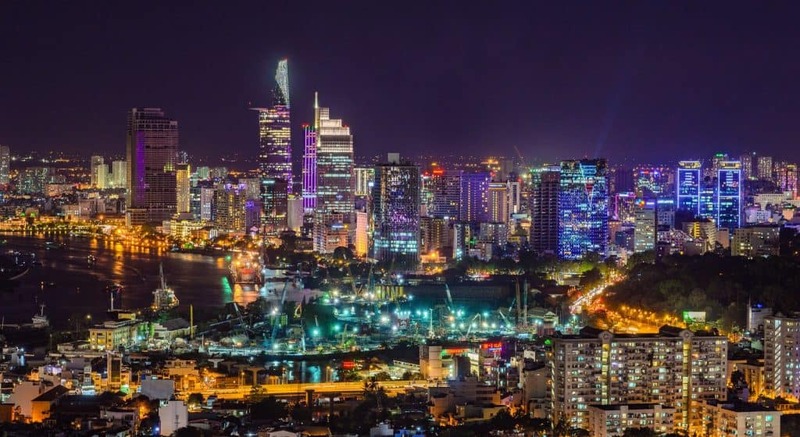 We have compiled a simple guide to finding the best vantage points in Ho Chi Minh City to inspire your urban photography. Even though the city has little to offer in terms of mountains and oceans, the topography is unique enough to create a beautiful silhouette. 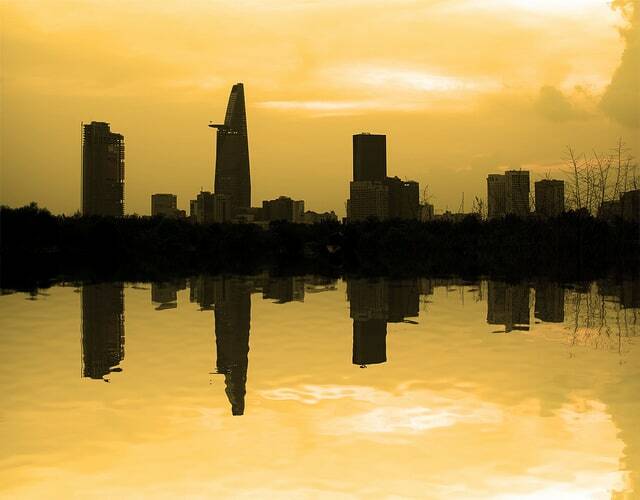 The Saigon River offers an interesting perspective for photographers because there are many spots along the river where one can look back and see the skyline or simply appreciate the sunrise and sunset. Vantage Point: For a great shot of the complete skyline, go to either the Kinh Te or Thu Thiem bridge. Sunset is usually around 6 pm in the evening so try and catch the sun setting on the city! Note that the Bitexco Tower is the tallest building in the city and although it has a viewing deck on one of it’s upper floors, the skyline seems underwhelming from this perspective. If you are more a fan of greener landscapes, you will have to venture a bit outside of the city but fortunately not too far away. One of the most popular places for wedding photographs around the city is a theme park of sorts, called Binh Quoi 1. 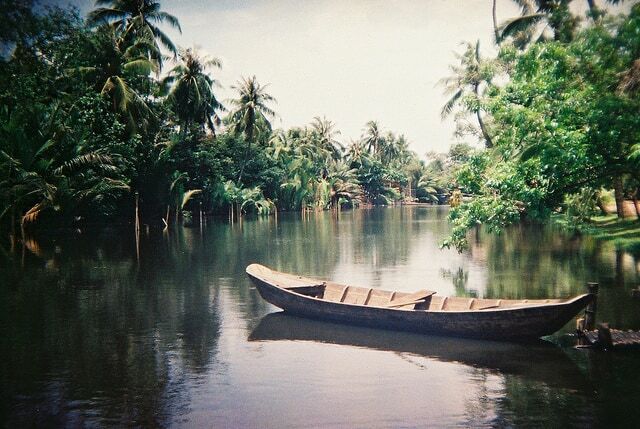 The Binh Quoi Village is lush and green, and it has waterways with traditional boats and boatsmen. If you go at the right time, you may even see couples taking wedding shots. 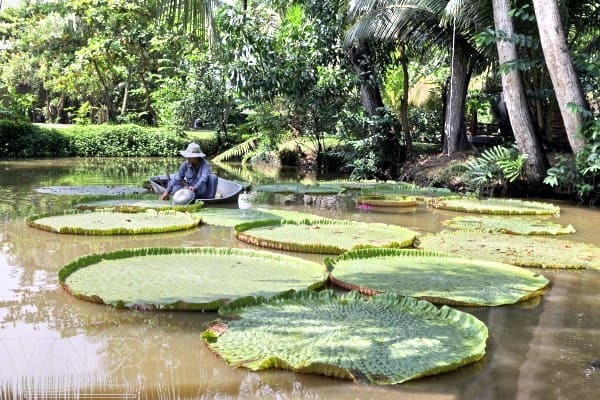 Vantage point: Find the pond with lilies and a water wheel or look for a spot along the water with huts and parked rowboats for a more authentic look in a fabricated paradise. Ho Chi Minh City has some very interesting buildings. Sure, they are not the sky reaching structures that you see elsewhere, but they are marvelous nonetheless. 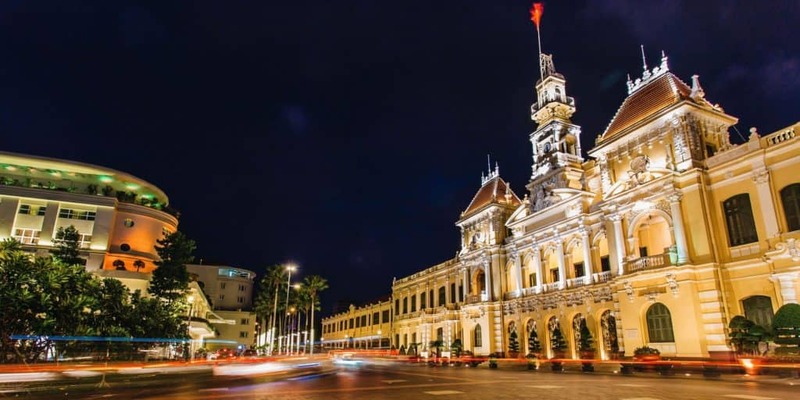 The city has its fair share of old buildings that have been maintained pristinely since the French Colonial Era in Vietnam. They hold such history and meaning, you can feel the aura of years gone by. Vantage point: The Notre Dame Cathedral is one of the most beautiful colonial-era buildings. Walk to the side of the building to the massive doors – they make for a cool backdrop for portrait shots! If it happens to rain one evening, go to the City Hall in Saigon. The way the blue lights shine off the wet pavement and reflects onto the building makes it looks mystical! And if you go to the historical Post Office, look up! The ceiling is an architectural masterpiece. The majestic ceiling of the main Post Office. The city is filled with juxtapositions, especially the old with the new. But there isn’t just one kind of old. Next to the colonial buildings are the ages-old pagodas and temples. They offer a history of their own. Many of them have been there since before the war, and some of them even damaged and then subsequently restored. 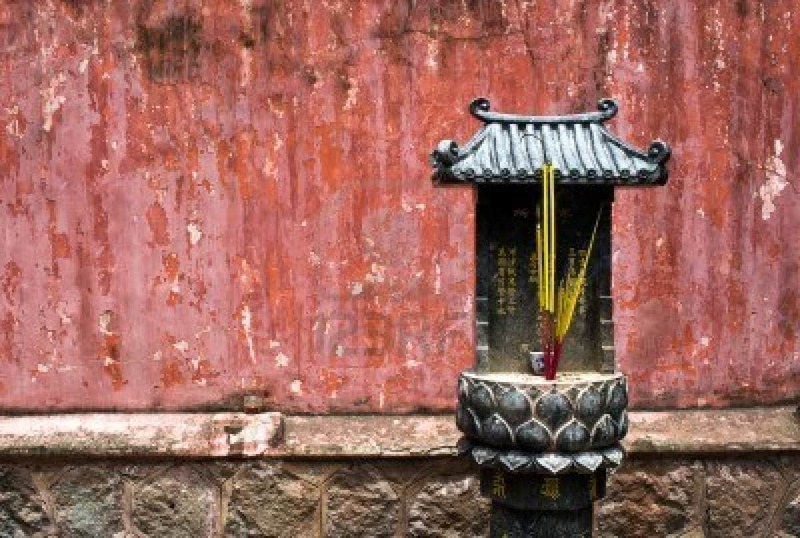 Vantage point: Jade Emperor Pagoda is one of the most impressive pagodas, architecturally. 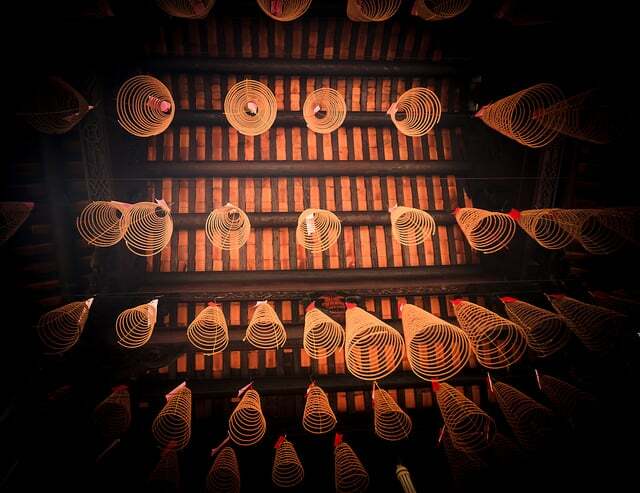 But the Thien Hau Pagoda has a ceiling full of cone-shaped incense burners that make for a very interesting photograph. The many pagodas around the city also look the most magical under a haze of incense smoke – find out at what time of the day most people visit the pagoda to maximize the amount of smoke in the air! Cone-shaped incense burners on the ceiling of the Pagoda. The one thing that this city most definitely does not lack is the ever-moving, awe-inspiring, and at times hair-raising activity. The people, the food and the culture are so vibrant that it is a privilege to be able to capture it on camera. The most well-known feature of Ho Chi Minh City is the traffic. The streets are jam-packed with motorbikes – in fact, the cities in Vietnam have the highest number of motorbikes per capita in the world! Vantage point: Early in the morning, take a trip out to District 5 near Cho Lon. This is where you see the motorbikes carrying the craziest things, like washing machines or giant panes of glass! In the evening, go up to the Chill Skybar rooftop restaurant and look down onto the circle intersection below in front of Ben Thanh market. A time-lapse photo of the motorbikes zipping around the circle will capture the chaos on the roads at night! You cannot come to Vietnam and be absolutely enamored by the people. Vietnamese people work hard but still take time to relax and enjoy themselves. 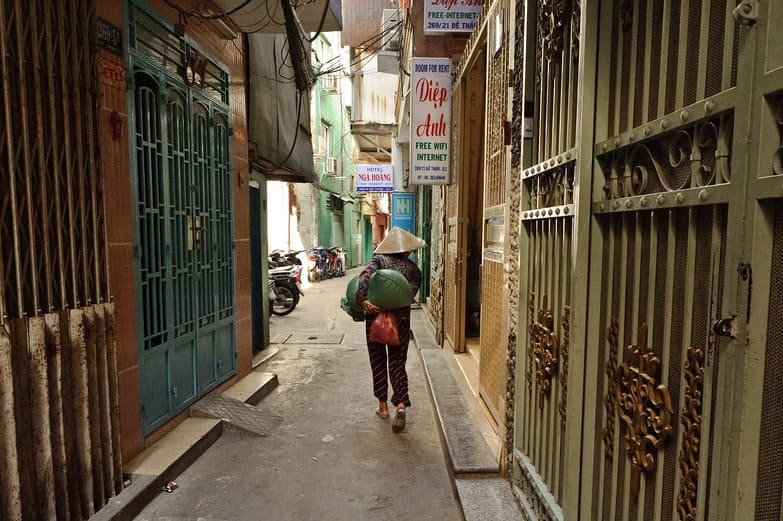 One of the most charming sights is seeing a Vietnamese woman dressed in an Ao Dai and sauntering down the street or and elderly person finding some shade under a conical hat. In the evenings, locals come out in full force to spend time with friends at the local watering holes or the coffee shops (yes, coffee joints were cool here long before they became popular in the rest of the world)! 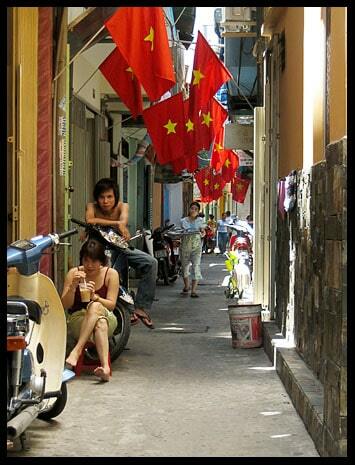 An alley riddled with flags of Vietnam. Quiet alley with beautiful doors on either side. 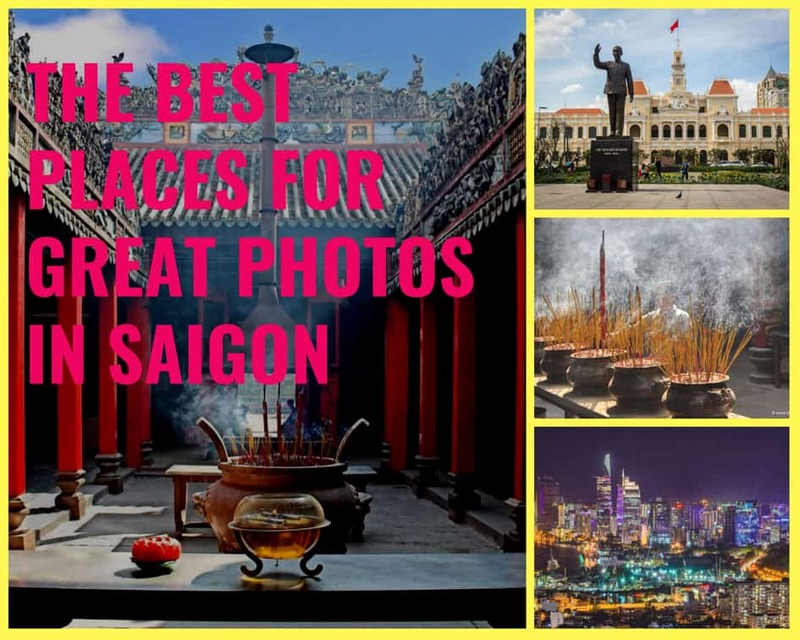 We hope you enjoyed these photo tips from XO Tours, offering the most unique city and food tours in Saigon!